It’s one thing to get teens through the door of your museum, it’s another to provide serious benefit to them for doing so. Lifelong benefit, at that. Just as any other curation endeavor, creating something specifically for young people takes care, commitment, and creativity. Intensive programming is a great tool to offer teens in terms of education, networking, and career-building, while providing your museum new ways to connect and engage. Intensive programming, in any context, combines high-quality curriculum with experienced instruction. For museums, it serves as a great way to connect with teens. Your institution’s expertise can go a long way when it comes to education programs that provide young people in your community an opportunity for growth. But intensive programming is a big commitment, as it involves more planning for a longer period of time and takes into consideration all that you want to offer young people interested in your field. Despite its challenges, the benefits are massive, as studies show the programs made available to adolescents through museums can positively influence the trajectory of their careers and outlook on life. The benefits for the museums themselves are hefty, as well. By establishing a relationship with teens in your community, you give yourself the opportunity to access fresh viewpoints and constructive criticism. You are giving yourself the opportunity to foster firsthand the next generation of museum-goers and appreciators. Regardless of whether you’re located in an area that’s urban or rural, intensive programming is an excellent resource for teens in your community, as well as your institution. Here are some examples of how museums are, and have been, tapping into this field. The Center of Science and Industry in Columbus, Ohio, offers COSI Academy, which serves as a learning lab for teens considering careers in the fields of health, science, technology, engineering, and math. Students join one of four cohorts and meet once a week for a month to participate in labs, discussions and the occasional field trip. Just one example, the academy’s civil engineering and architecture cohort interacts with industry professionals from local corporations and universities. By gaining this valuable experience at an early age, teens get a better handle on what they want their future to look like. Through intensive programming, museums act as a catalyst for that early engagement and can help propel teens toward success. The Science Career Ladder program at the New York Hall of Science focuses on college success, career-building, professional mentorships and research training by inviting teenagers to become a part of the museum and interact with its audience. The program is available to high school and college students interested in exploring STEM subjects and developing communication skills. The yearlong program provides the opportunity for participants to engage visitors at exhibits, facilitate activities, and act as role models to younger museum-goers. NYSCI curates workshops, field trips, and networking events throughout the year as career-developing opportunities for participants. The Wallace Collection in London established its Youth Advisory Panel to give 20 students from various schools in London an active role in the museum. Panelists learn about the museum’s collections, deliver public talks, write and produce digital content for the museum, and plan events for their peers. At the American Museum of Natural History in New York, the Brown Scholars program introduces high school girls to computer programming. The 2-year, intensive program is tuition-free and includes three tiers of participation. The first consists of 120 hours of coursework concerning the intersection of computer science and science. After successfully completing the 120 hours, participants are eligible to apply for the second component, a 9-month paid internship in computational research within AMNH. A team of six interns work under the mentorship of a post-baccalaureate Helen Fellow, and the internship culminates with presentations. Regardless if participants decide to take on the internship or not, they are eligible for the third component, which is a series of field trips and workshops surrounding academic and professional opportunities in the world of computer science. The Museum of Contemporary Art in Chicago has gone beyond temporary programming and made significant room for youth development within their institution. Founded in 2011, the Teen Creative Agency serves as MCA’s immersive, creative youth development program. It’s a two-year commitment for a young person between the ages of 15 and 19 from anywhere in the city and gives them the chance to meet weekly with 24 of their peers and two lead artists. The program gives this group of teens the opportunity to hone their skills in collaboration, communication and leadership. The program doesn’t just talk the talk, it actually gives members the opportunity to curate public programming in the form of a monthly pop-up program, as well as 21Minus, an annual contemporary art and experiences festival held at MCA that is completely developed by artists under 21 years of age. With 21Minus, MCA further invites young people of Chicago and Chicagoland suburbs to interact with the museum as proposals are accepted to be a part of the festival. Think of it as a teen take-over. The prompt to submit a proposal poses the question: “Do you have something to say to hundreds of museum visitors, other youth, and artists?” What better way to draw youths to your institution and instill lasting impact than providing the platform to have their voices heard? The benefits of this exact type of programming have been proven. In 2015, the Whitney Museum of American Art published the findings of their study, “Room to Rise”. The study connected with hundreds of program alumni across the U.S. to explore the effects of participating in these programs, “including lasting engagement with arts and culture, significant personal and professional development, and increased leadership skills and civic engagement,” according to the Whitney’s website. With support from a National Leadership Grant from the Federal Institute Museum and Library Services, the study comes from a multi-year collaboration of four museums home to nationally recognized teen programs: the Whitney, the Walker Art Center, the Contemporary Arts Museum Houston and The Museum of Contemporary Art, Los Angeles. Each of these museums’ programs have been continuously active since the 1990s, bringing together diverse groups of urban youths to collaborate with museum staff and other artists to create engaging events. The study found that alumni held onto these experiences as “transformational, shaping their adult lives in significant ways.” Engagement strategies of these programs, including supportive staff mentors; authentic work; sustained engagement; interaction with artists and peer diversity, led to positive outcomes and long-lasting impacts. In the short term, study participants reported outcomes of personal development, artistic and cultural literacy, arts participation, social capital, and leadership. In the long term, study participants referenced definite impact to their personal identity and self-knowledge, lifelong relationship to museums and culture, expanded career horizons, a worldview grounded in art, and community engagement and influence. Programs like these act not only as professional-networking and career-benefiting opportunities, but also as creative incubators, confidence builders, and an invitation to be yourself and contribute at a very vulnerable age. For teens feeling intimidated or like an outsider looking in, these programs help demystify the art world and make it that much more accessible. While this particular study looks only at art museums, any type of institution offering teen-centered intensive programming makes a lifelong impact on the community. Whether a young person is looking to build a career or their confidence by enrolling in your program, you are providing an opportunity for immense growth and real-life experience, which further affirms that museums present endless opportunity to educate and inspire. Interested in how museums are catering for teen audiences? 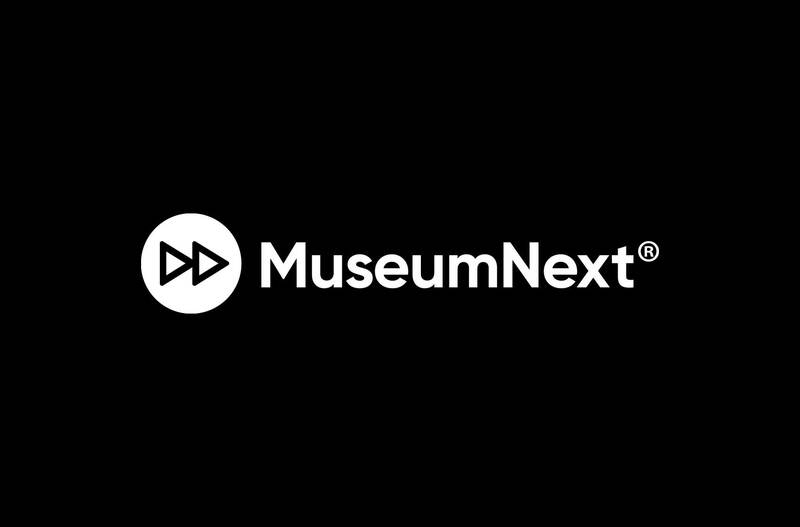 Find MuseumNext talks on this subject here. Lauren Styx is a magazine editor and freelance journalist in Chicago. Her storytelling explores health, culture, sustainability, and the ways in which those areas intersect.